Kubi and friends will soon be making a return in their upcoming 3DS eShop title, Bit Boy!! 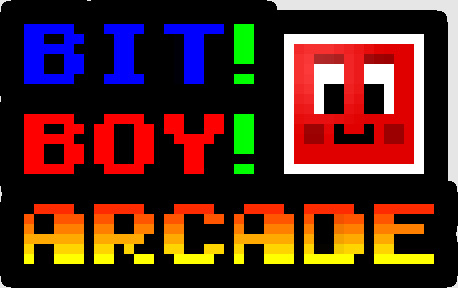 Arcade. According to a software listing on Nintendo’s website, the eShop action game will be available from 17th April onwards in North America, with a European release expected shortly after. The game tracks the adventures of Kubi and friends as they have encounters with the evil black Shadow Plattchen, the mighty gearwheel ZeLeLi, and get to know the world of game development a little more. Unique features within Bit Boy!! 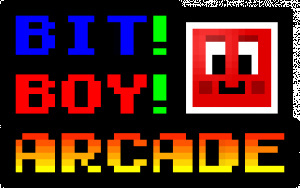 Arcade include playing the game faster for a higher score, graphical evolution in every world, a quick run mode, 50 achievements, 200 different phases, more than 1,400 Pixel Friends to rescue, reviving over 4,200 PixelFlies, an optional easy mode, and over one hour of music and voice acting. Let us know if you're interested in this upcoming 3DS eShop title. Looks somewhat intersting. Reminds me of a couple of Wii games I own but can't remember the names of right now. Might be worth a look. Only if it's an improvement on the original. yea it looks like cube basically. but i really liked that game so if its cheap i'll get it. i like the look of it. i just checked out the old wii version(never knew about it before) and it looks horrible so i hope this one is not like that at all or i'm not getting it. guess i'll defenitely be waiting for a review or something to decide. I don't buy things with consecutive exclamation marks. I have no idea what I just watched! Looks fun, but those remarks about the Wii version hold me off until a review is out. This is BPlus we're talking about here, so I wouldn't expect anything too special. Also, whatever happened to that other game that they were supposed to release for the 3DS? Guess it was so bad that they stopped making it. @ACK What about Mario Kart: Double Dash!! That had consecutive exclamation points. @brewsky I was an adolescent. That simple phrase excuses all behavior from that period of my life. LOL how is BPlus even still in business? They haven't released anything in 5 years. @brewsky Double dash is awesome!! Heh, it looks pretty good actually. Hey i may buy it. This website mentions there games from bplus that were announced prior to bit boy arcade. I wonder what happened to them? Maybe they didn't meet B+'s standards and were cancelled. The review, not the game.